In addition, within hospitals or other medical facilities, there are many specialties. Because you typically can’t substitute a heart transplant with, for example, allergy treatments, each specialty can become its own service market. And when you combine a narrow geographic market with a narrow specialty, you get a lot of small markets and it doesn’t take much volume to be the market leader. (As an aside, there is something called a cluster market that aggregates what might be called sub-markets, but that is a complexity that is for another time). Third, hospitals merge a lot and that invites antitrust scrutiny. For example, the famous US Supreme Court case of FTC v. Phoebe Putney Health System, Inc.—about state-action immunity under the antitrust laws—originated from a hospital merger involving a local government entity and the FTC’s subsequent challenge. If the Department of Justice or Federal Trade Commission thinks that a hospital or medical facility merger will aggregate market power too much, it will often challenge the merger. Fourth, I won’t even get into the highly regulated and government-control aspect of the health-care industry that raises entry barriers and distorts markets to such an extent that competition issues are inevitable. With all of that, it really isn’t that surprising that the hospital and health-care industry finds itself facing antitrust scrutiny so often. Now let’s talk about a concrete example of hospitals and antitrust. 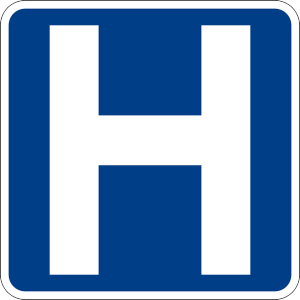 The Department of Justice recently publicized its complaint and settlement with three hospitals in Michigan that it accused of market-allocation agreements. A fourth accused hospital has declined to settle and will, at least for now, battle the DOJ Antitrust Division in court. The targeted hospitals operate within the same region, i.e. same relevant geographic market, in southern Michigan, near the Ohio and Indiana borders. The antitrust complaint alleges that these hospitals directly compete with each other to provide healthcare services in south-central Michigan. According to the Department of Justice, the Michigan hospitals agreed not to market in each other’s territory (which is a subpart of the larger geographic market in which the four hospitals compete). So, for example, an agreement between two of the hospitals apparently prohibited them from offering certain free health screenings and physician seminars to residents close to the other hospital. These services are marketing services, though they do provide a benefit to consumers in and of themselves. Other marketing restrictions related to a billboard, newspaper advertising, and media releases, among other items. Even though the agreements are focused on marketing limitations and not customer limitations, they appears to be—at least based upon the alleged facts—market allocation agreements. This is a straightforward per se antitrust violation. As I have discussed before, market-allocation agreements are the most dangerous antitrust snafu for someone that is not sufficiently aware of how the antitrust laws work. This is because (1) it is not difficult to find yourself engaging in one without realizing it is an antitrust violation; and (2) it is a per se antitrust violation, which is a label that is reserved for the worst of the worst antitrust violations. The difficulty for many people is that stealing customers and competing aggressively in the market sometimes seems (or feels) distasteful. When you combine that with the fact that people in the same industry often get to know one another as human beings, you can understand how such an arrangement could be hatched with somewhat innocent initial motives: “Let’s just lay off each other’s customers; it will be easier for everyone that way.” Then you order another drink and talk about your kids. But an agreement like that can bring the wrath of the Department of Justice, the Federal Trade Commission, the European Commission, countless other national antitrust authorities, or worse yet, a herd of antitrust plaintiffs’ attorneys racing to federal court to file a class action against your company. So—despite the temptations—it is better to skip the agreement and just keep on battling. And if you are represent a hospital or some other health-care entity, you should be particularly careful because you likely have a target on your back. When it doubt, seek antitrust counsel.